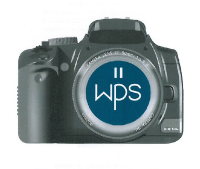 Wolverhampton Photographic Society was established in 1888. We are passionate about photography, in all its forms. Stunning colour landscapes, moody and atmospheric black and whites, perfectly captured nature, or out and out creativity. Our weekly meetings are warm and sociable affairs with a friendly membership and a range of interesting activities such as guest speakers with high quality presentations of stunning images and our annual points series competition (for digital and printed images) where we compete against each other. Tutorial evenings cover a range of subjects across the skills and experience spectrum. There’s always something new to learn and the beauty is that it all helps us produce better photographs. For further details please contact us, visit our website or refer to the attached Programme on the right hand side of this page (under Useful Documents). It contains details of upcoming events, competitions and membership details.